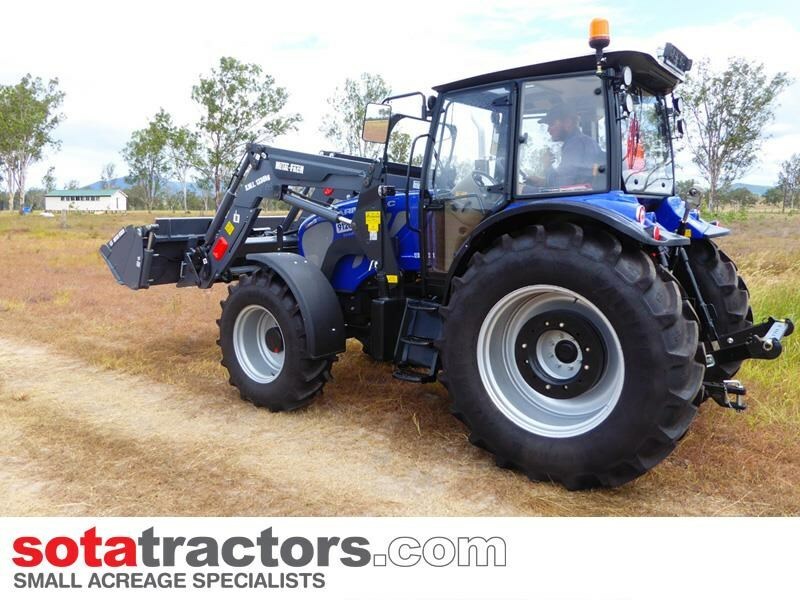 The Farmtrac 9120 DTn is the most powerful tractor in our European Farmtrac range, equipped with premium A/C cabin. 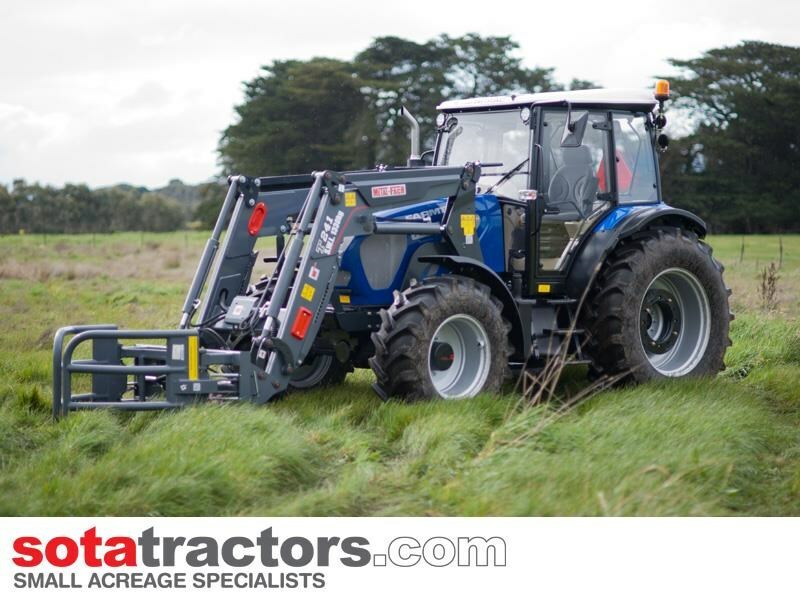 Built in the EU, with world class components, Farmtrac tractors offer exceptional quality and durability with far less maintenance. 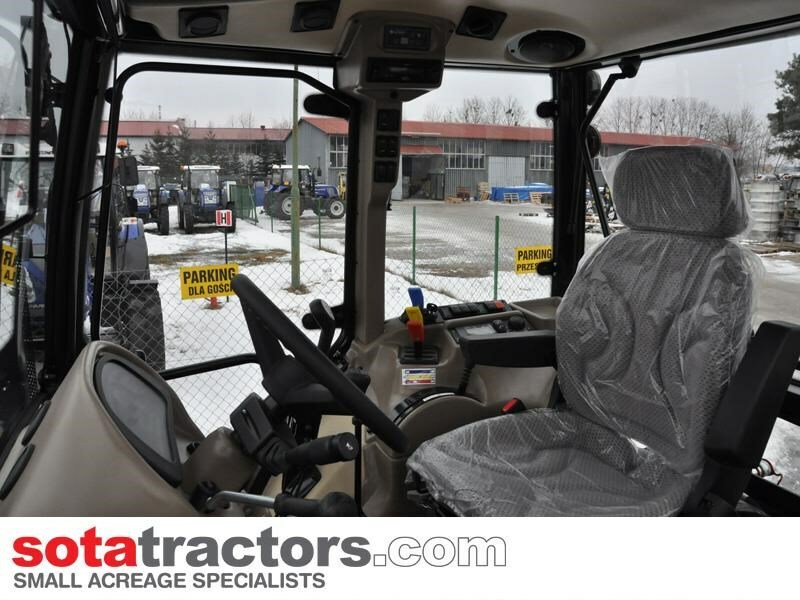 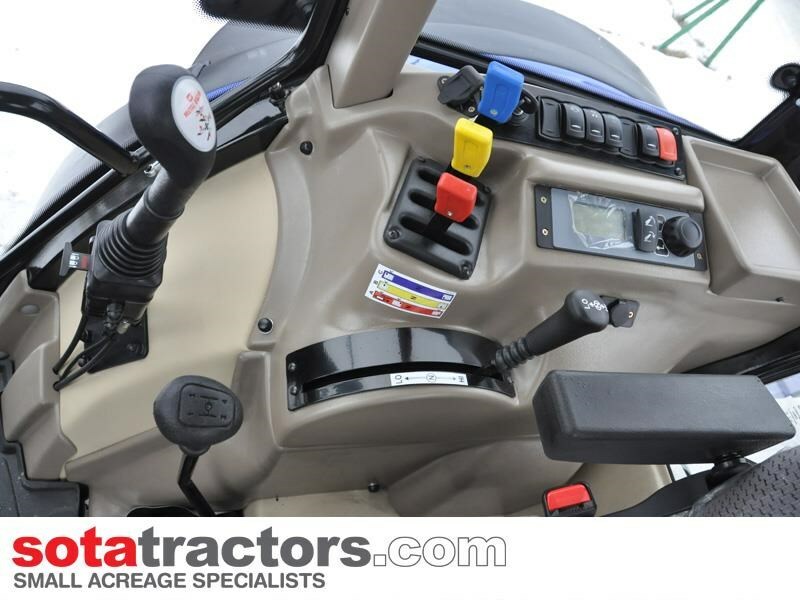 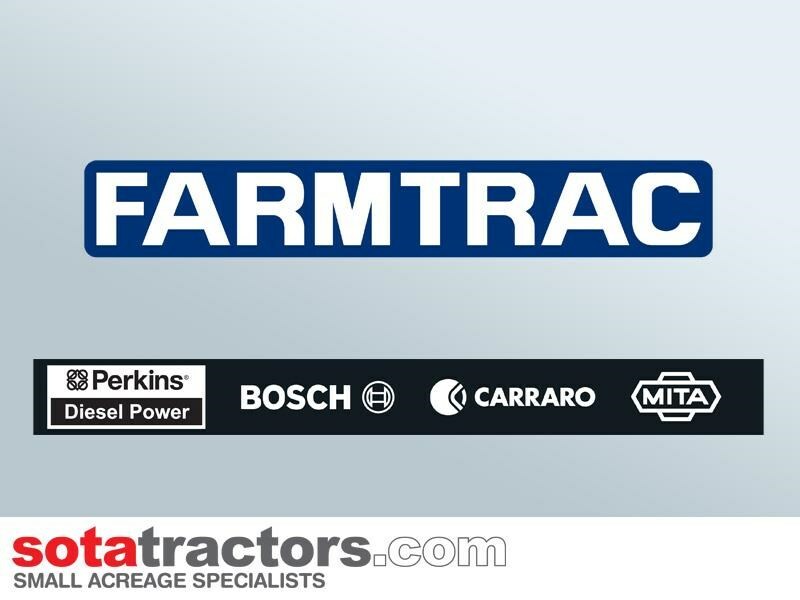 Farmtrac tractors include a Perkins engine, Carraro transmission, Bosch electronics and Mita hydraulics. 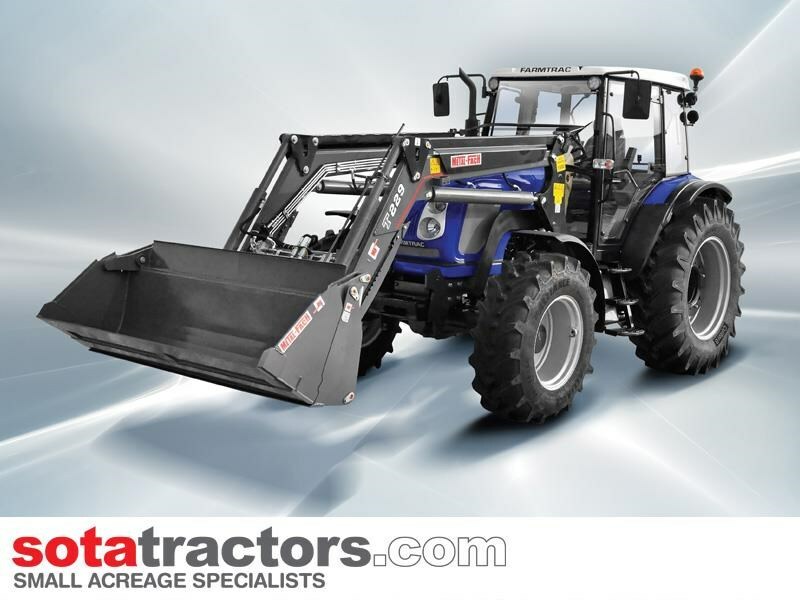 The Farmtrac 9120 DTn with cabin is ideal for medium to large properties where maximum uptime and durability are most important considerations. 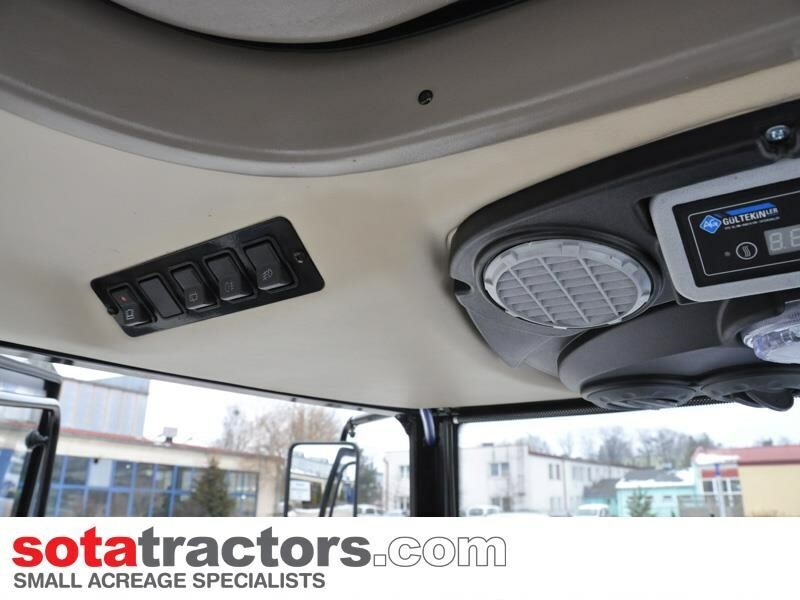 The cabin offers 1st class protection all year round, as well as soundproofing, air conditioning and front and rear lights for night work. 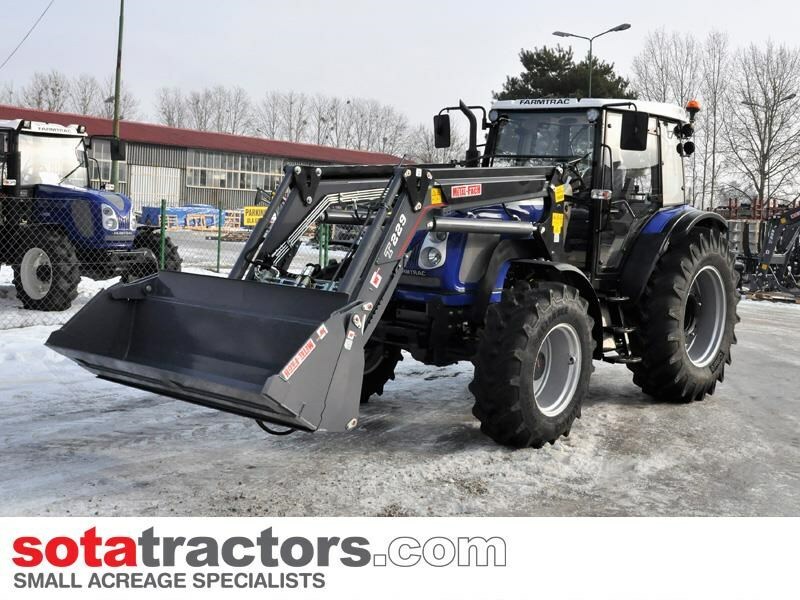 > Mita hydraulics with triple remotes to suit backhoes, wood splitters, post drivers, etc. 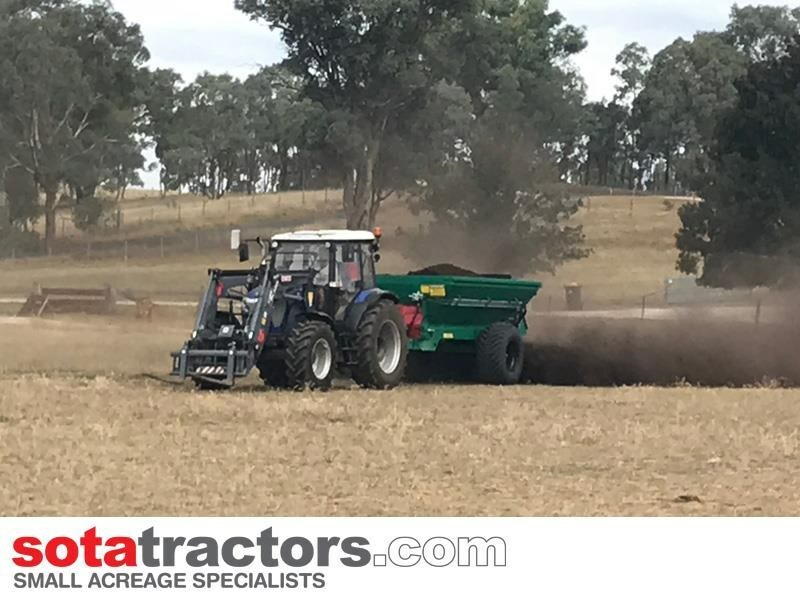 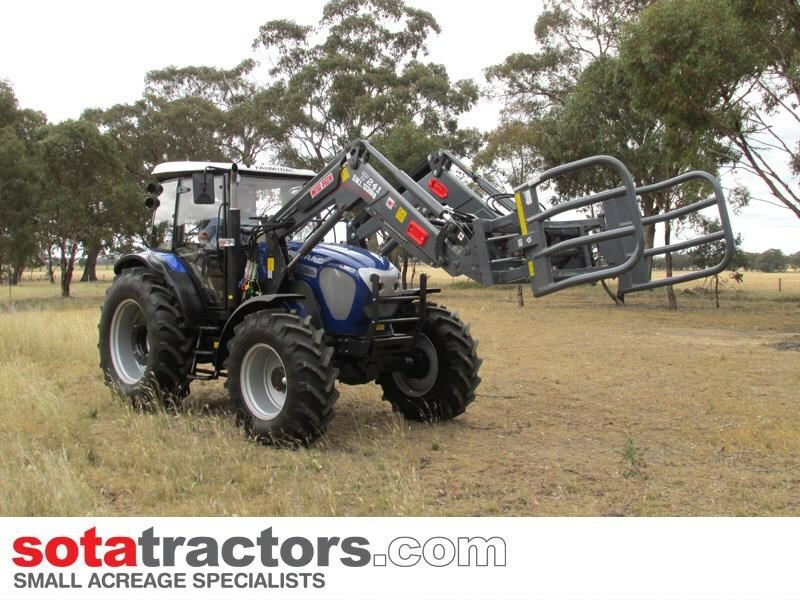 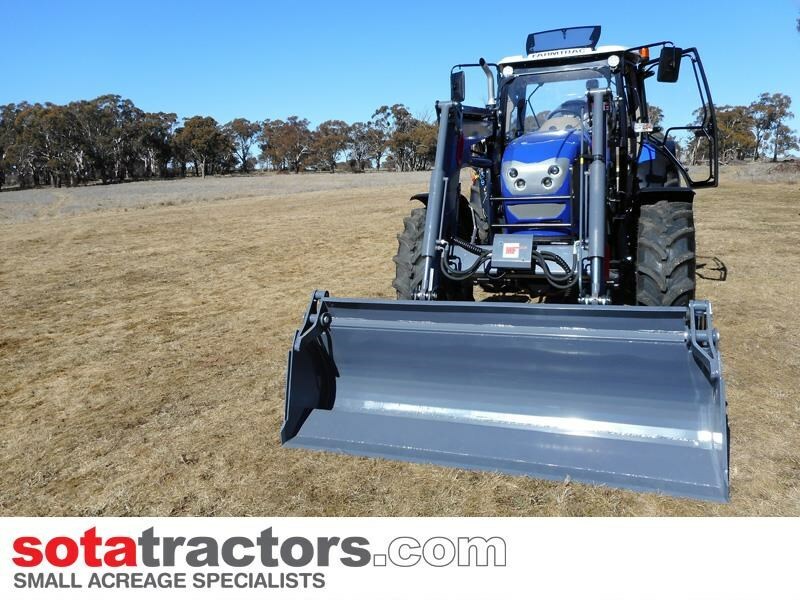 The quality design of the Farmtrac 9120 DTn means that it is ultra stable with rear wheel counterweights for FEL balancing, to wider wheels on a wide wheel track for stability on sloping land. 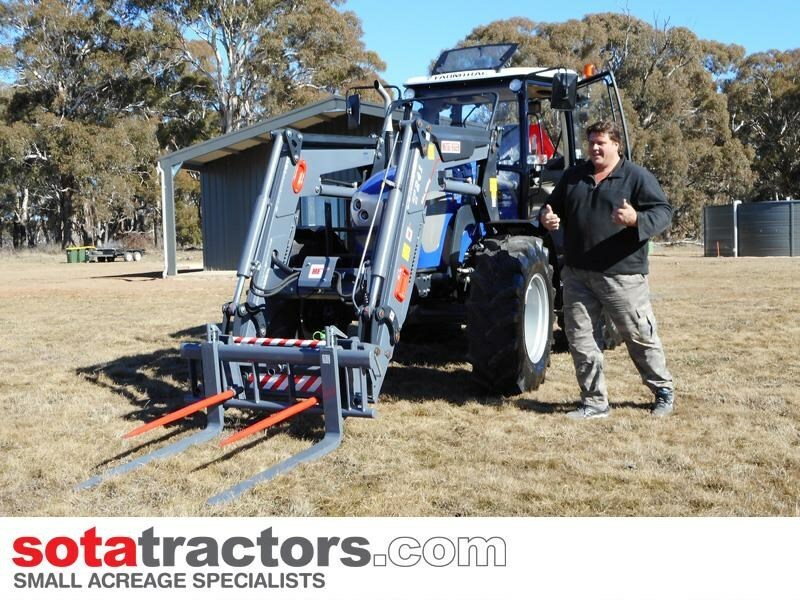 You can also remove the front end loader and bucket separately and easily, with the quick-release function and change it over to optional loader attachments instead. 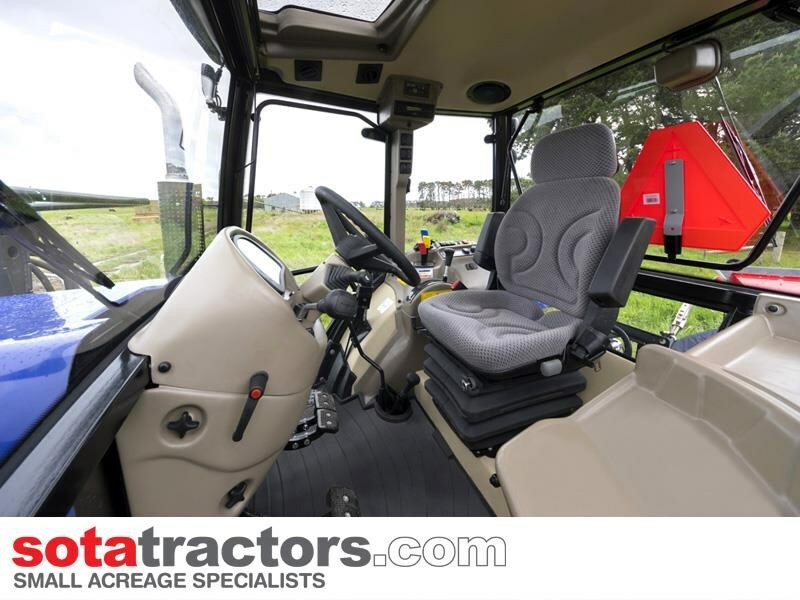 Standard kit includes: a quick-release 4-in-1 loader, large wheels and a wide track for increased stability on slopes, adjustable suspension seat for driver comfort, triple remote hydraulics, seatbelt and a full lighting system, which is suitable for road registration. 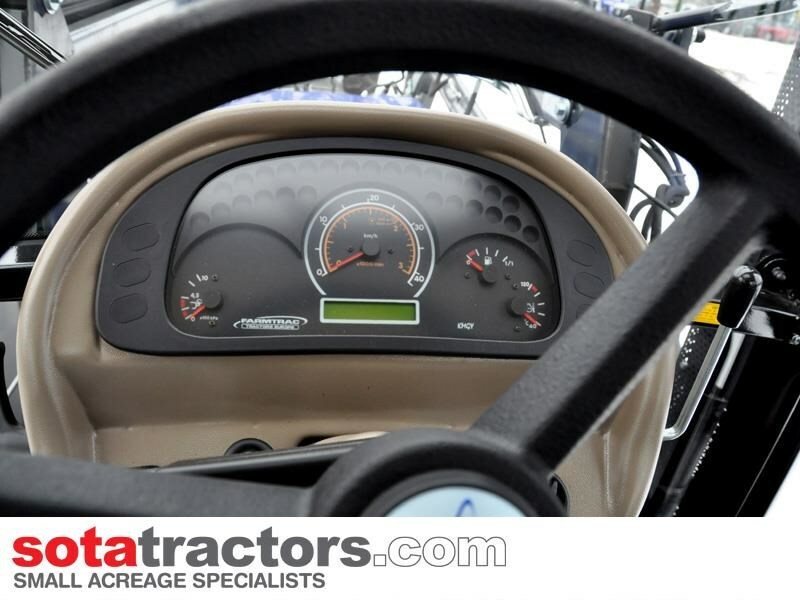 Our experienced diesel mechanics are fully equipped with onsite service trucks. 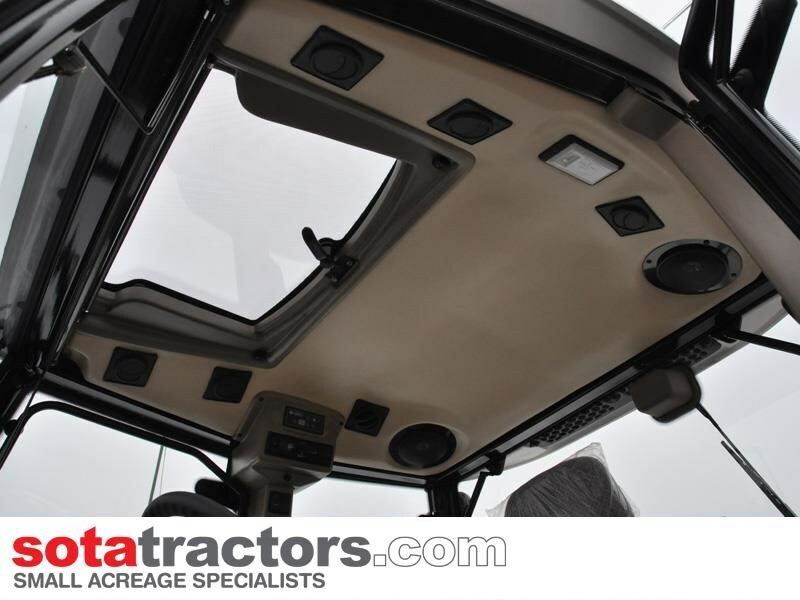 They are always happy to share their expert knowledge and answer any maintenance questions you may have. 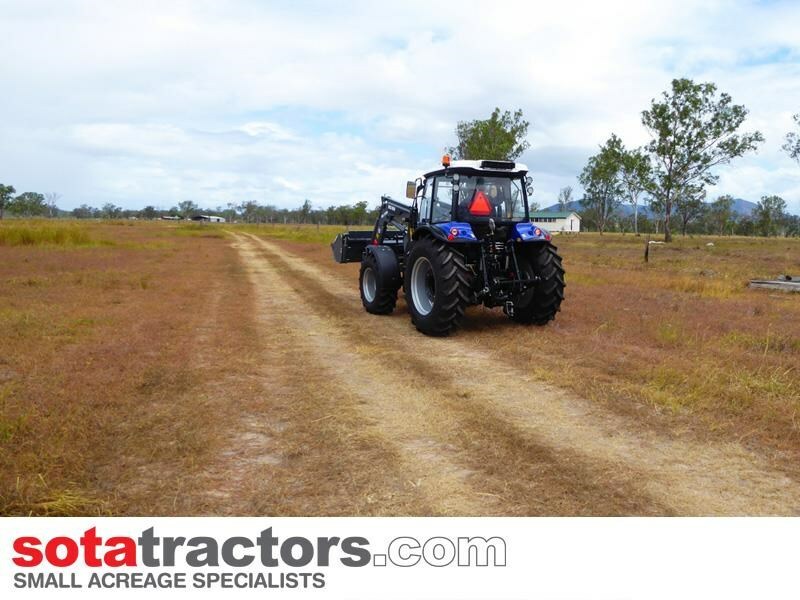 SUPER SALE! 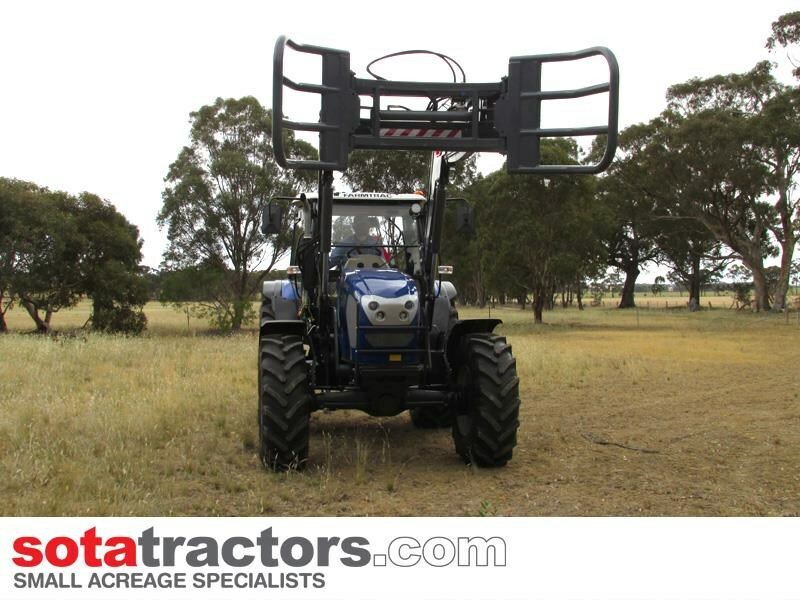 110hp 4WD DIESEL. 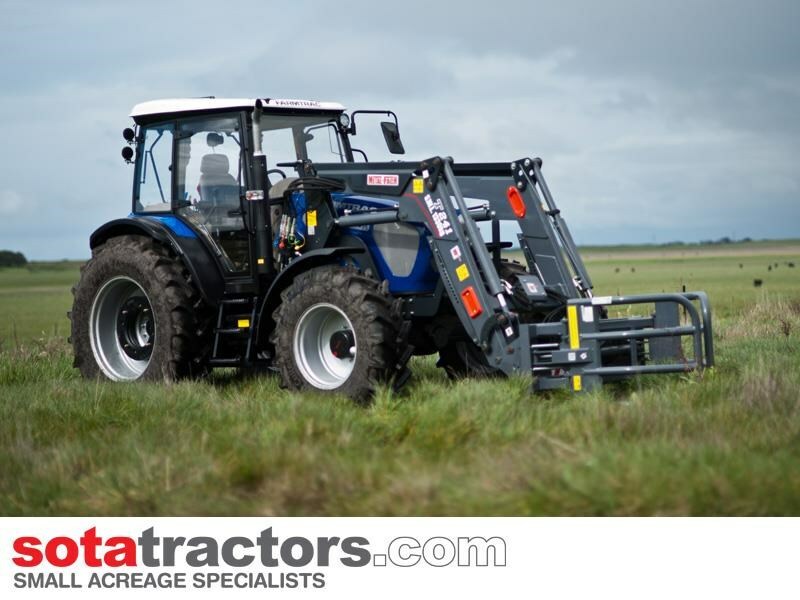 Made in the EU, this is our largest tractor in the range, built with quality parts, including a Perkins engine for less maintenance. 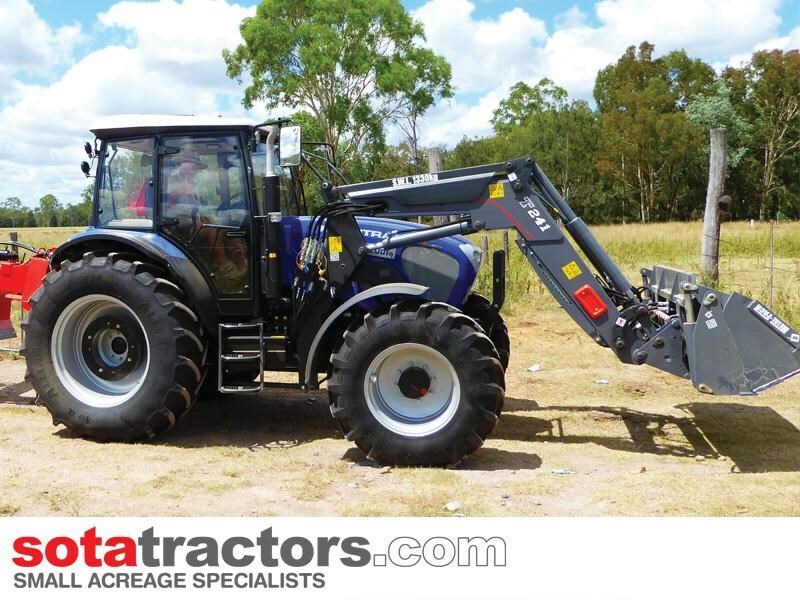 SUPER SALE - 110hp 4WD DIESEL. 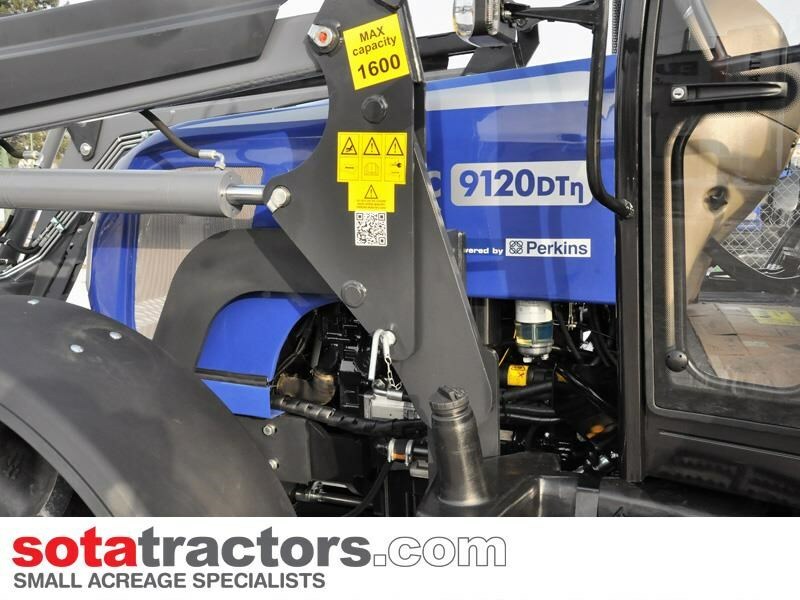 Made in the EU, this is our largest tractor in the range, built with quality parts, including a Perkins engine for less maintenance. 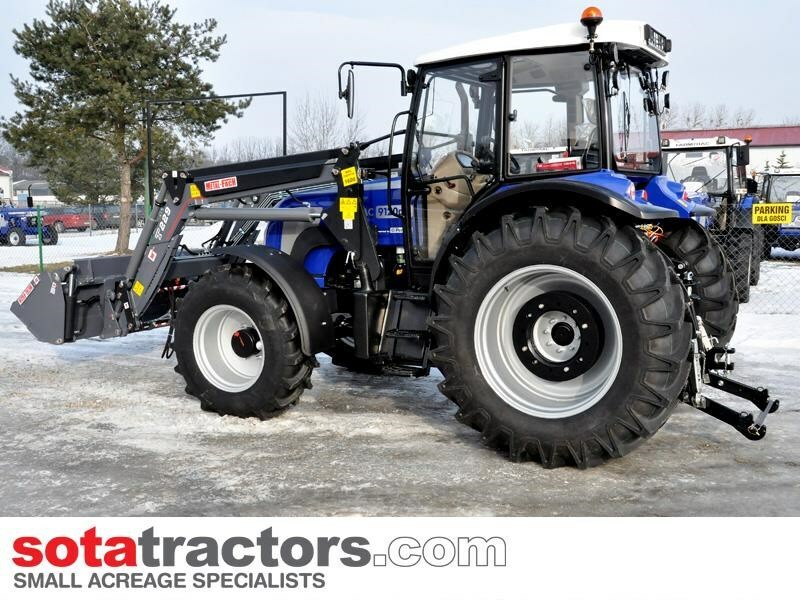 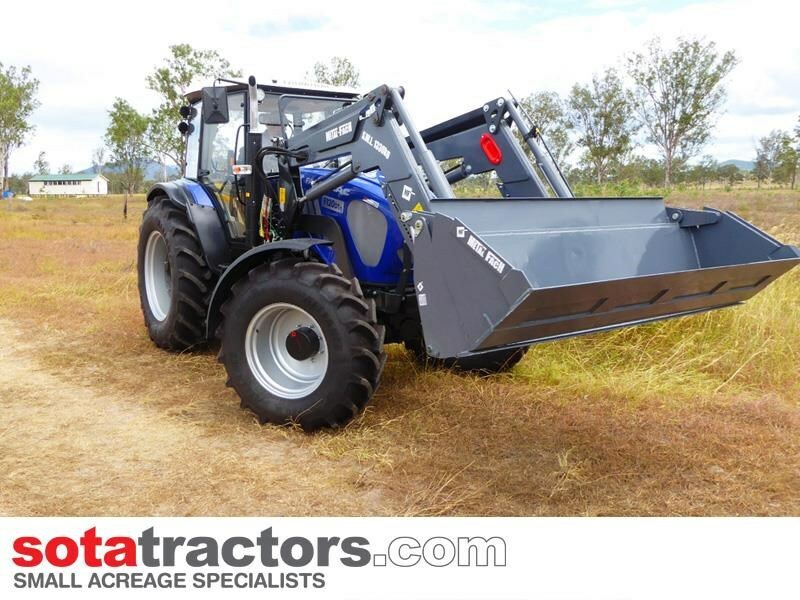 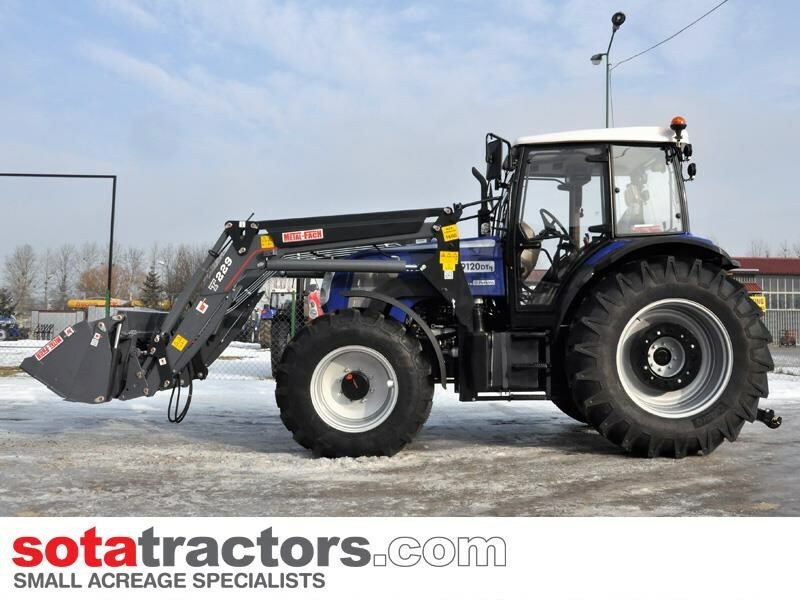 FARMTRAC FT30 - 28.5hp 4WD DIESEL. 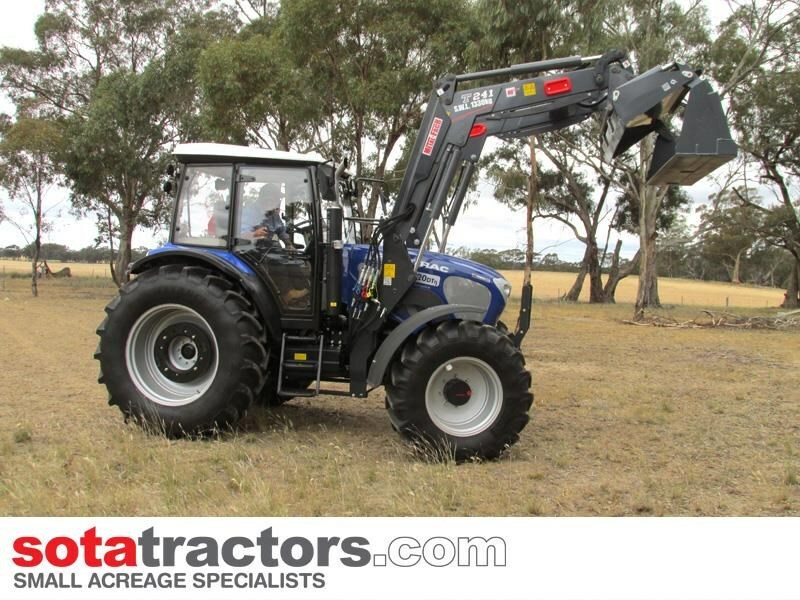 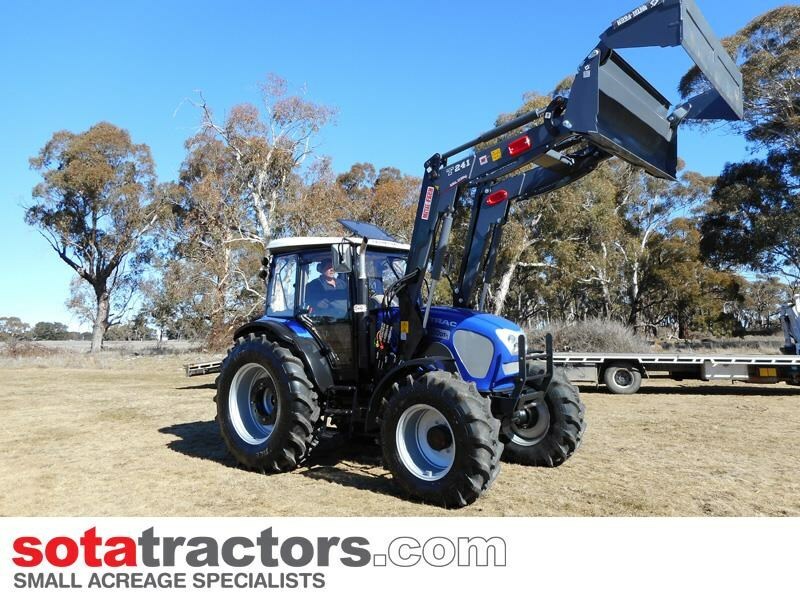 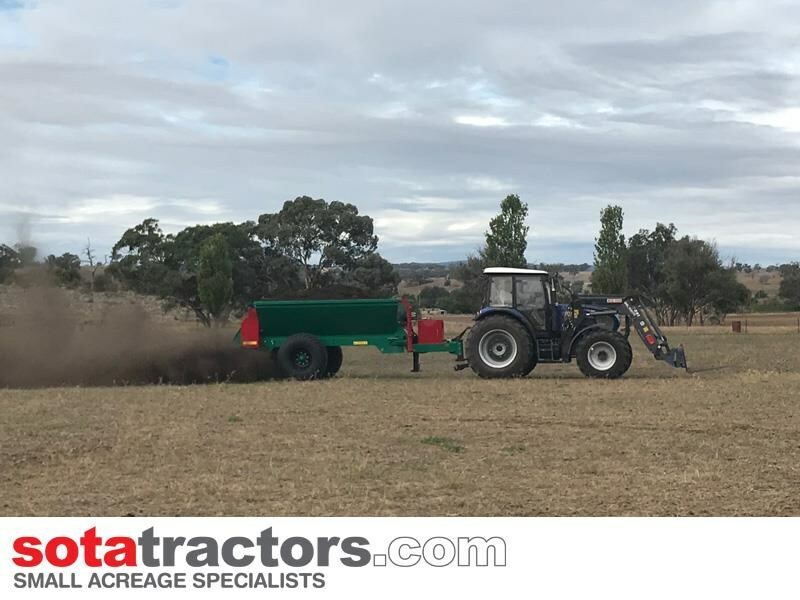 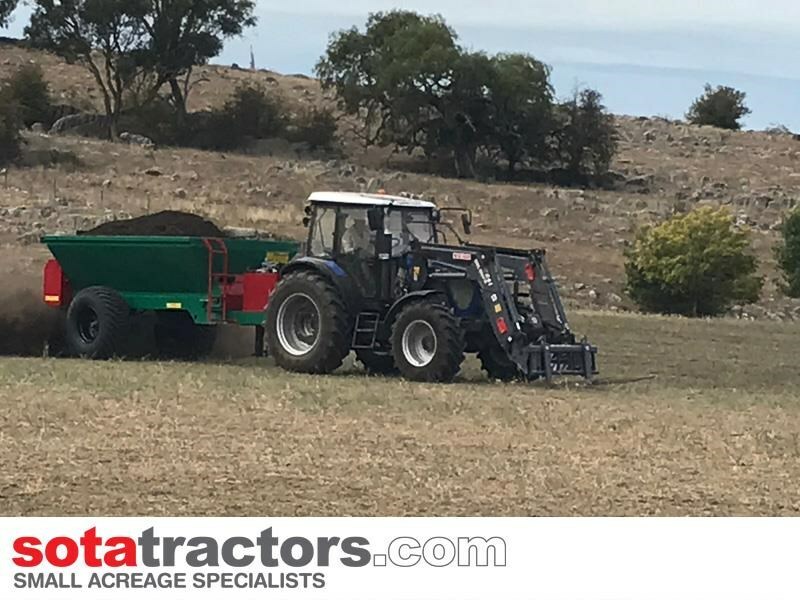 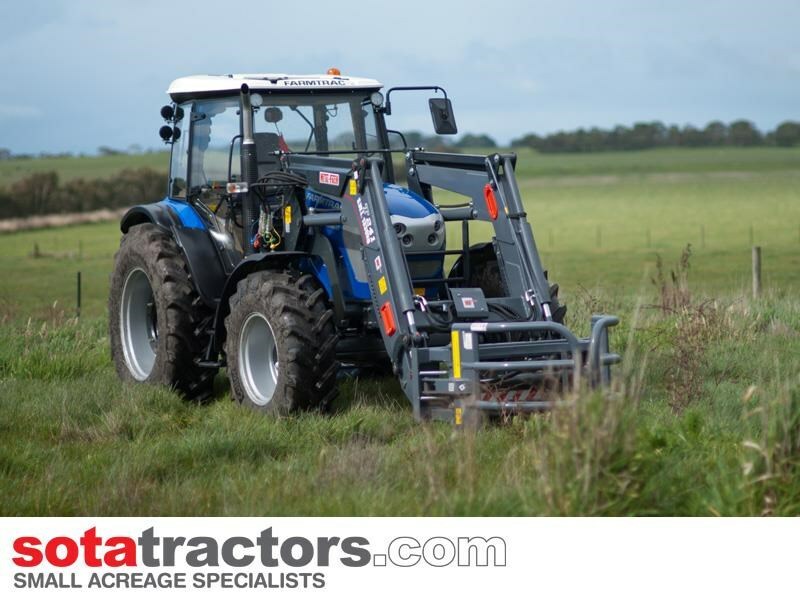 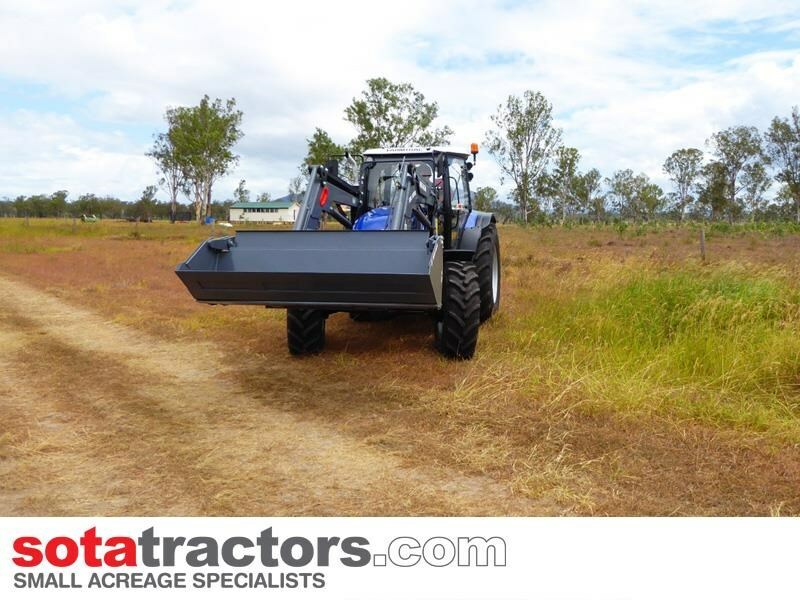 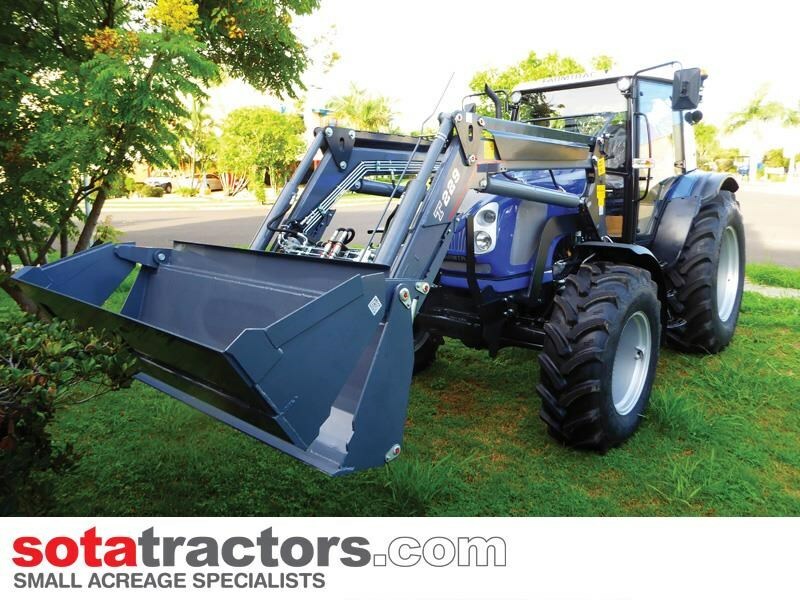 A tough and reliable 4WD tractor and an ideal workhorse for small farms or landscaping and general maintenance applications such as on horse properties and nurseries.